Taste the rainbow, people. 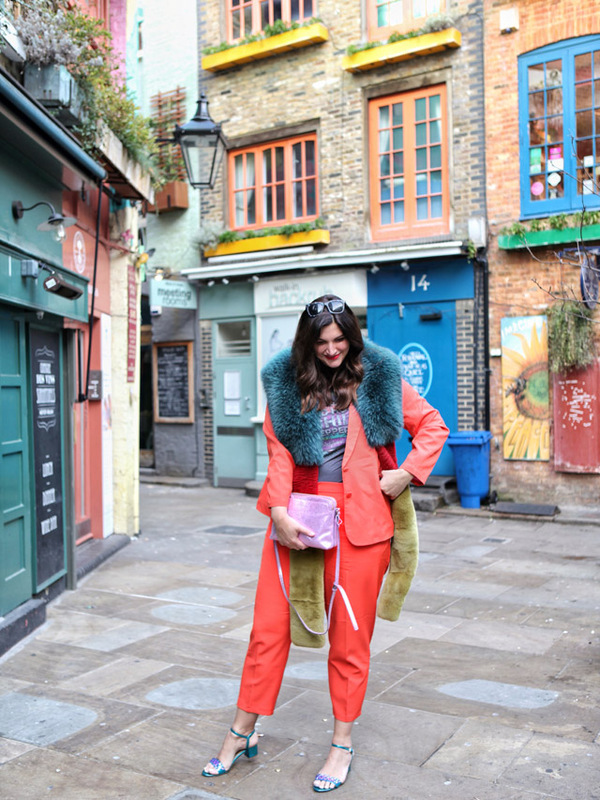 Today, I am bringing some serious colour your way. 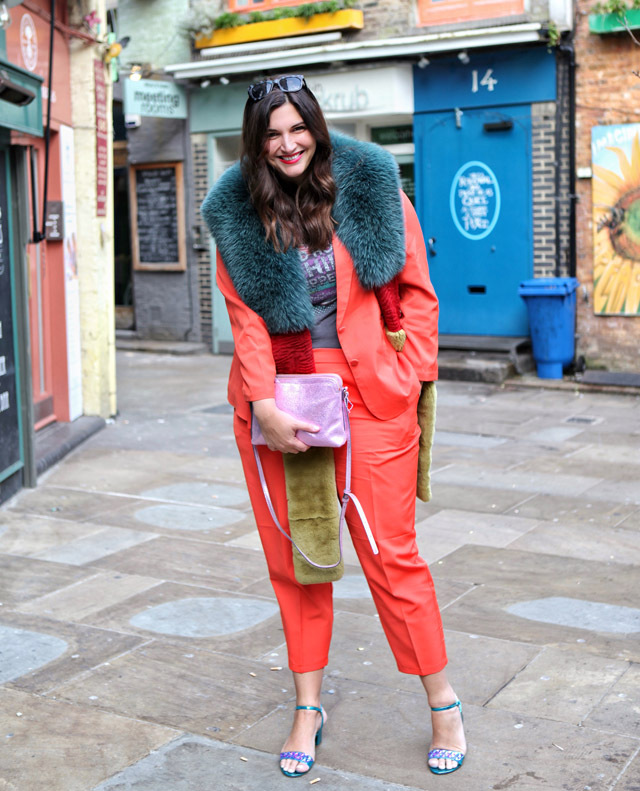 Before London was blanketed in snow, there was a time last week where one could comfortably wear sandals outside for longer than five minutes without fearing frostbite. Sadly, those days are long behind us as we stare down an endless white out, with more blizzards expected tomorrow! 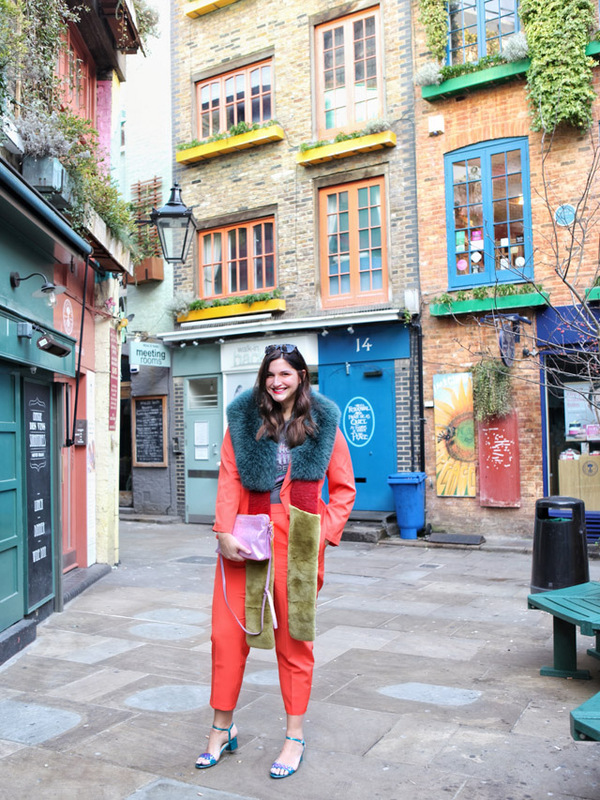 So, rather than post more pictures of snowmageddon 2018, I thought I'd bring the colour back with the brightest outfit I've ever worn, photographed in one of my favourite corners of colourful London - Neal's Yard. This suit is now a wardrobe staple for me, so expect to see it a lot more as we move into warmer weather. For now, I'm pairing it with fluffy accessories, bejewelled sandals and an old rock tee. To be fair, I'd wear this exactly as is for summer, just without the stole! This is a plus sized item, but the retailer also offers straight sizes for those of you shopping below size 14. I'll just say this.... you haven't lived until you've owned a pink suit. 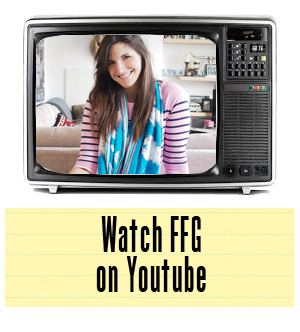 It's all kinds of fabulous rolled into one!